Headquarter driven pricing decisions must be considerate of how pricing actions are reflected on the shelf. Our team can advise you in planning, negotiating and executing against stated pricing goals by providing actionable recommendations that support both headquarter and field objectives. 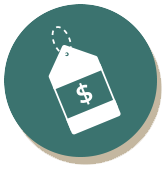 Our analysis is customized to bring actionable insights into your most complex pricing problems.